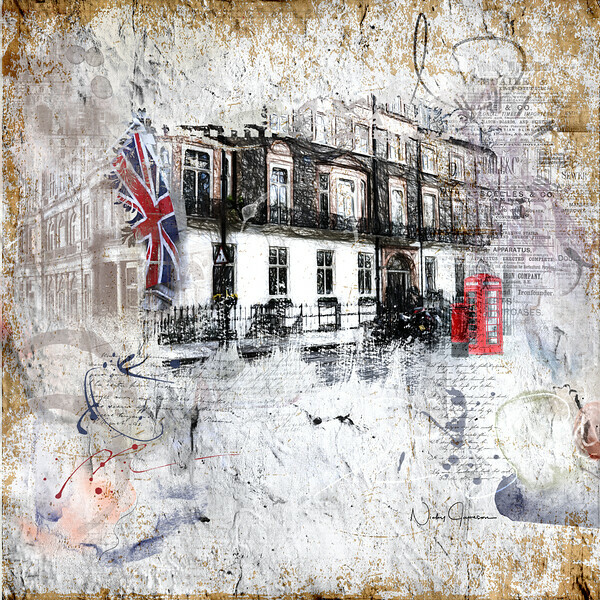 Russell Square, Memory page Collage. I applied a pencil sketch treatment to my photo of this street in Russell Square. I duplicated the photo several times and blended it with my with my background made from concrete and chalk textures, then added more artistic elements, digital brushwork, masks and old script. Every photo-artwork comes from and recalls a memory brought to life once more on the canvas, with plenty to see and contemplate. Check my store at http://nickyjamesonart.com for canvas and framed options for this wall art scene, as well as my other pieces.